According to the American Cancer Society – not that we didn’t know already — protein is a necessary nutrient for cell growth, helps keep our immune systems strong, and is essential after surgery, chemotherapy, or radiation treatment to help fight infection and help build tissue. One of the most cost-effective ways to boost protein intake is the dependable and delicious egg. 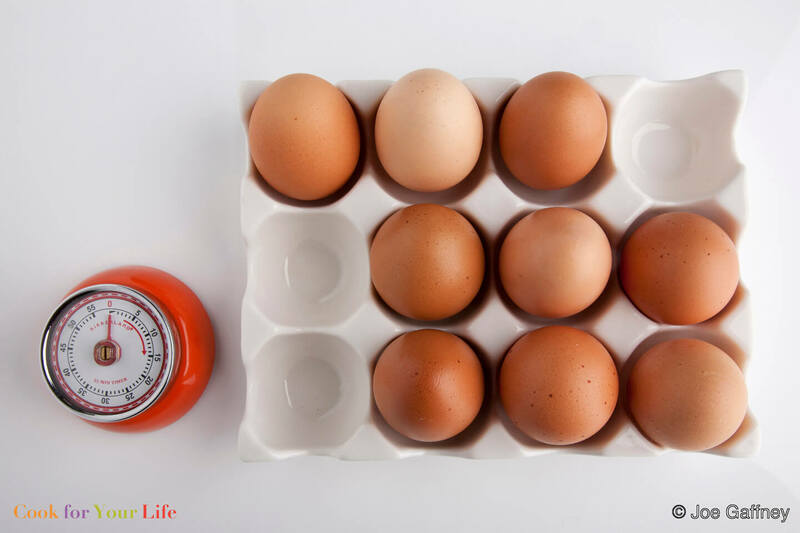 One large egg contains six grams of protein with less than 100 calories, and provides a number of vitamins and minerals including riboflavin, vitamin B12, phosphorus, selenium, and choline. The reputation of eggs has suffered in recent, cholesterol-counting decades, and many people avoid or limit this once-beloved food. Yet eggs can be a welcome part of a healthy diet as long as they are eaten in moderation. It was previously believed that all dietary cholesterol had a direct effect on our own cholesterol levels; however, the Dietary Guidelines Advisory Committee, in their most recent convention, announced that cholesterol naturally found in foods like eggs is no longer a “nutrient of concern.” The Committee explained that the main villain is saturated fat, which is more likely to cause cholesterol levels to spike than dietary cholesterol. If you have high cholesterol, you still don’t have to give up eggs. You can have up to 1 1/2 eggs a day. Adding extra egg whites to whole eggs, or just using egg whites on their own will give you a protein-filled breakfast without the high levels of saturated fat. Always buy cage-free, antibiotic and hormone-free eggs if they are available. We recommend free-range eggs, too. The egg vendors at your local farmer’s market are probably your best bet to find true free-range eggs. The added cost is well worth paying to get a healthier, fresher egg. When you break a fresh egg, the whites are firm and domed around the yolk; the whites of stale eggs are flat and runny. Egg yolks run in color from pale yellow to deep orange, with the yolks of free-range eggs usually showing the deepest color. The deeper color of the yolk, the more varied the laying hen’s diet, and the better the nutritional value and taste. Eggs should always be well cooked to avoid contact with harmful bacteria, but especially during cancer treatment, when the immune system is compromised. There are many delicious ways to cook eggs in a safe and anti-bacterial way. Just make sure in all cooking methods that the egg yolks and whites are hard throughout. Hard-boiled eggs are an obvious choice. They are a delicious, easy snack, and can add some energy and protein boosts to your salads. Hard-boiled eggs last in the refrigerator for up to a week, so make a few extra to have a protein-filled snack on hand with minimum effort. If you like your eggs fried or poached, it’s a good idea if you are in treatment cook them longer to harden the yolk. They will still be great with a piece of whole grain toast, and safer for your immune system. Try Cook For Your Life’s Frittata with Leafy Greens for an easy and appetizing way to get proteins and your greens on. Also look at Ann’s tips on how to make the perfect poached, scrambled, and hard-boiled eggs.